Discussion in 'Mayberry Lounge' started by Project 2501, May 25, 2014. An army of Uruk Hai against an army of White Walkers in a neutral environment. Each side has 10,000 soldiers, who takes it? White walkers via being able to turn whoever they want into one of them and making swords out of nothing. White Walkers. Uruk Hai are cans. Fighting Uruk Hai. Lugburz knows. How many white walkers could Sean Bean take out? That's important to my answer. If Peter Jackson is directing the fight, all the bad ones lose and then everybody else hugs it out. Humans and animals sure, but probably not orcs. Without Saruman, I think the orcs are fucked since the white walkers are inherently magical and they have nothing to negate all that necromancy stuff. If they had Saruman negating magic, I think they'd still probably lose, unless they knew about dragonglass. We don't know that. I don't think you can rule it out. I don't think we have enough info about the others yet to accurately compare the 2. Came here to post exactly this. Thoundth like you have thpeech ithueth. In fairness, Uruks and other orcs look like fodder due to how the main Tolkien characters are designed as borderline superhuman. Gimli would probably cut the mountain in half with little difficulty. Gimli would name the red viper as his champion. We have yet to see the White Walkers in battle. We only know they took it to the First Men. We have seen the Uruk Hai. They have even killed Elves. I would say White Walkers. The Fellowship were taking out quite a few by themselves, I doubt most average people in GoT could take more than one White Walker by themselves. Their specific weapon weakness is also hard to exploit. 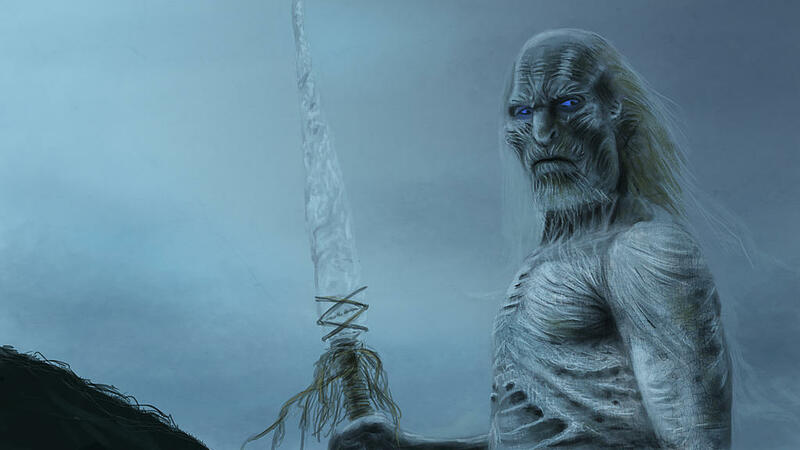 White walkers have necromancy, swords that cut through steel like butter and probably all sorts of other powers. They take this pretty easily.